In the description of the ethnic setting in the Nigeria area before 1800, it is important to state that the concept “Nigeria” is omitted because there was no Nigeria until 1914. What existed was communities scattered all over the area now called Nigeria. These communities operated their own laws and rules that govern the conduct of people in such communities. In the Nigeria area, these communities were not on the same level of development and vary in their orientation. For example, in the South-Eastern parts, the communities were clan-based or village-based, that is, Igbo land. Other areas similar to the Igbo were the Okun communities, Tiv and Ibira. These communities were highly decentralised administratively. In other words, they didn’t have a single ruler or overall ruler administering the community. They practiced what is called gerontocracy-government by elders. Prof. Afigbo in his book “Warrant Chiefs” explained very well, in particular, as it has affected the Igbo land where the government of most of the towns were administered by the Council of Elders. This is similar in the open land. This is also explained in Prof. Apata’s book particularly of the “Groundwork of Niger-Benue area”. Besides this, there are also some communities in the Nigeria area that also operated this system like Hausa and Yoruba state. For example, before 1800, some Yoruba communities operated a highly centralised political system like in Oyo, Benin, Ife and also in the Northern area, especially in the Hausa area like Kogi, Kebbi and so on. Some of these Hausa states were headed by Sarakin. The Sarakin or Oba were the overall rulers administering the people and initiated their own rules which ensured a peaceful relationship on the land. Whether centralised states in the North or West or decentralised states in the East and Middle-belt, it is observed through studies that most of these communities governed themselves in the best possible way they knew at that time. Furthermore, it will be essential to talk about two main lines of argument concerning the relationship among the people of Nigeria before the colonial period, in order to make a solid essay. One is the Theory of Fundamental Diversity (or theory of strange bedfellows) while the other is the Common Bond Theory, also known as the Theory of Unity in Diversity. According to the first theory, the people of Nigeria before 1800 had little or nothing in common. They spoke different languages, had cultural differences and had no common ideological orientation; they were not united by common religion as they worshipped many gods. In effect, when they were brought together by the British at the dawn of the 20th century, they found themselves as “strange bed-fellows”. Moreover, the theory goes on to stress that even during the colonial period, the people were not brought closely by the colonial administration based on the principle of Indirect Rule, which emphasized local peculiarities and autonomy, and which tended to hamper the opportunities for inter-group relations and the evolution of national consciousness. Hence, when Nigeria became independent, there was, as there still is, the difficulty of forging a nation of people so different in backgrounds. Thus, every problem in the processes of nation building has been seen in terms of this theory of “strange bed-fellows”. The second line of argument negates, to a large extent, what the first theory propounded. This theory stresses that before the colonial period, common bonds existed among the Nigerian people. It states that the differences in language and culture, though apparent, were in the real sense not so ingrained. For, when well considered, most Nigerian languages originated from a common parentage. Also, it is argued that the cultural differences, even today, are not as wide as is often emphasized. In other words, this theory emphasizes that the Nigerian people from the earliest times possible had had links among themselves. The nature of the evidence at our disposal is more in support of the latter theory than the former. It is true, as the first theory states, that the people of Nigeria speak different languages and that they have different cultural backgrounds, but we do know they had common bonds as the second theory has stated which can mitigate the defects of the first one. In the first place, the geographical factor shows that the Nigeria area whose major zones complement one another in terms of human needs. The major geographical zones are mangrove swamps, forest, semi-savannah and grassland or savannah. None of the people living in any of these zones had been able to live by themselves alone or in isolation of others. For example, it is well known that the dwellers of the mangrove area in the earliest times produced basically fish and salt ‘But as man cannot live on fish and salt alone’, the mangrove dwellers required tuberous products like yam, cocoyam and others from the forest area to balance their diet in their daily meals. For these products they exchanged their fish and salt which the people in the forest zone also badly needed to supplement their diet. Similarly, the forest dwellers needed the grains and cattle of the savannah region in exchange for their kolanuts, palm oil and such other products of the forest zone needed by the inhabitants of the savannah region. The contact here therefore was fostered by economic and dietary necessity. Moreover, in the era before the introduction of the modern means of transportation, the material needs of the people were satisfied by the reciprocal movement of goods and human beings. Fortunately, the nature of the country in terms of configuration and vegetation was, as it still is, such that could afford relatively easy passage. The forest zone also had footpaths, and even the mangrove area provided waterways within and outside each zone. 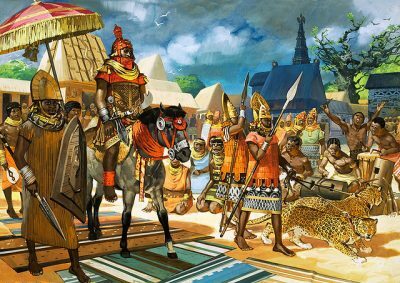 In addition, the river system based on the Niger and Benue and their tributaries enabled the people to move to many parts outside their dwelling places. Importantly, the most obvious contact among various ethnic groups before 1800 was forged through trade. The movement of people in order to trade in one commodity or the other cut across zones- whether geographical or cultural. The activities of the traders led to the establishment of well-known trade routes particularly those along the Rivers Niger and Benue and their tributaries from north to south. There were also overland routes which formed part of the Trans-Saharan Trade routes which linked North Africa with West Africa. Apart from the above, there were links forged through political contacts before 1800 among ethnic groups in the Nigeria area. Diplomatic relations existed among contiguous states, but in addition, some of the states and empires during this period forged contact through expansion. Through this process of expansion, people belonging to a particular group were able to extend their influence over those outside their cultural group. Such links were forged by the Empire of Kanem-Borno, Kingdom of Jukun, and the Hausa States, all in the northern section, and the kingdom of Benin and Old Oyo in the south. Moreover, even in areas which had no reputation for large political organization, contacts, and therefore cultural influences, were forged through what could be called neo-economic and political organization. An example that comes to mind is the oracle system in Igboland. Nri and Aro-Chukwu, for instance, provided powerful ritual centres where people from far and wide converged. Nevertheless, there were inter-group relations forged by language. Linguists have classified the various African languages into groups according to how closely related they are to each other or to one another. It is believed that most of these languages come from a common parentage, that is, proto language. It should be noted that most West African languages belong to what linguists call the Niger-Congo phylum. It is estimated that the Igala and Yoruba share ninety per cent of their vocabularies in common. They share a substantial number of vocabulary items because they belong, together with Itsekiri, to the Defoid group. The knowledge that majority of people speak languages which belong to the same language family no doubt demonstrates that the people of Nigeria not only have historical and cultural links through ages; they may infact not to be as far apart as existing ethnic or dialectic differences may tend to suggest. Furthermore, the study of loan words among language groups has also helped to deepen our knowledge of culture change and contact among ethnic groups in the Nigeria area before 1800. For example, there are several Kanuri loan words in the Hausa language. Similarly, many Arabic words which the Hausa people borrowed through their contact with the Arabs are today found in the Yoruba language, for example, alaafia, wakati, wahala, anfaani, alubosa among others. In addition, the traditions of origin of the people in the Nigeria area and their dynasties indicate that there was a great deal of interaction amongst the various groups, leading to the forging of inter-ethnic and cultural unity. In some of such traditions, there are accounts given of contact between and among peoples who today belong to different cultural groups but who would still regard themselves as offspring of the same ancestors, e.g. in the Bayajidda legend, we have seven original Hausa states and seven subordinate states among which are included the Nupe, Jukun and Ilorin-Yoruba. Other traditions are the Nri tradition in Igboland and Oduduwa/Oranmiyan dynastic connection between Ife and Benin. Again, evidences of inter-group relationship are seen in the works of Arts. Archaeological investigations have shown similarities between the works of art found in one area and those found in another. Studies by archaeologists and art historians of the artefacts from Nok, Daima, Ife, Benin and Igbo-Ukwu have revealed striking similarities in production technique and design. These are strong indicators of contacts and influences among the various ethnic groups in the Nigeria area before 1800. However, it is not true as often portrayed by the Europeans that before the arrival of the British, the various communities or ethnic groups on the ground were often involved in inter-tribal wars. These communities or states not only maintained good orderliness, that is, there were heavy inter-group relations among these ethnic groups such as inter-marriages. This is not to say that before 1800 there was no war or conflict. To say there was no war or conflict is to prevaricate history. At this point in time, Oyo which was a dominant empire, had collapsed. The fall of the Oyo Empire created a series of wars that lasted 100 years. Even in Igboland and middle-belt, ethnic conflict was fairly rampant but the good news is that these communities, by and large resolve conflict. Wars occasionally featured in the interactions between groups. In most cases, however, wars were fought only when diplomacy or other avenues for conflict resolution had failed to resolve certain inter-group differences. It is therefore important to stress that wars should not be seen as a dominant feature of inter-group relations, or else it would be difficult to explain the high level of cultural attainments by most Nigerian peoples. In addition, it should be borne in mind that within the prolonged span of relationships between groups, the periods of conflict occupied only a small portion. In a nutshell, in spite of occasional conflicts, the people of the area that later became known as Nigeria worked hard to maintain peaceful relations. We can no longer hold to the theory that before 1800, those who became citizens of the British-created Nigerian state had nothing in common or that in 1914, they were entirely strange people brought together. By stressing the links between the people in the Nigeria area before 1800, however, it is not being suggested that they had no differences at all. In spite of the theory of languages with common parentage, there is no doubt that the different groups spoke different languages. In spite of the fundamental similarities in culture, there is no doubt that at least on the surface cultural differences did exist among the people. Moreover, there is no doubt that the people saw, as they still see, themselves as distinct groups of people. In a nutshell, areas of similarity in the cultures and identities of the people are many and those of differences too are just as many. Nevertheless, it will be a negation of the natural process of historical development to emphasize only the differences. While the differences should not be overlooked, the common bonds should also be emphasized not only in the interest of essay writing but as a true representation of the historical process in the country before the colonial period. Finally, this essay on the description of the ethnic setting in the Nigeria area before 1800 has brought to focus the way and manner people live and inter-relate. It also brought to focus that without external imposition the people know how to govern themselves and engage in peace and peaceful relations. Above all, they were able to maintain healthy inter-group relations. Gratitude to Prof. Z. O Apapta’s class note and explanation. Andrey, R. (2002) “Tiv-Jukun crises and National integration: A historical perspective”, Journal of Faculty of Art, Seminar Series, Benue State University, Makurdi, Nigeria, Vol. I, P. 219-230. Ayangeaor, E. (2002) “Tiv-Jukun Crises and National Integration: A Historical Perspective. Journal of Faculty of Art, Seminar Series, Benue State University, Makurdi, Nigeria, Vol. I, P. 219-230. Makar, T. (1993) “A history of Political Change among the Tiv in the 19th and 20th centuries”, Enugu: Fourth Dimension Publishers. Ochefu, Y. (2003) “Economic Foundations of Idoma society 1800-1960”, Makurdi: Aboki Publisher. Toyo, E. (2002). “Background to Globalization” ASUU Series. Tseror, T. (1992) “Tiv and their Neighbours: A History of Relations in the 19th and 20th Centuries”, Jos: PLHA Printing Press. Albert, I.O. (N.D.) “The LADA “Racet” in Colonial Yorubaland 1933 – 1950″, (Pp.133 – 149), in G. O. Oguntomisin and S. Ademola Ajayi (eds. ), Readings in Nigerian History and Culture. Ibadan: Hope Publications. Albert, I.O. (1994), Urban Migrant Settlements in Nigeria: A Historical Comparison of ‘Sabon Garis’ in Kano and Ibadan 1893 – 1991. Ph.D. Thesis. Ibadan: University of Ibadan. Cohen A. (1969) “Customs and Politics in Urban Africa: A Study of Hausa Migrants in Yoruba Towns”, London: Routeledge & Kogan Paul. Gbadamosi, T.G.O. (1978) “The growth of Islam Among Yoruba 1841 – 1908”, London: Longman. Love Joy, P. (N.D.) “Caravan of Kola – The Hausa Kola Trade 1700 – 1900”, Zaria: ABU Press. Makinwa, P.K. (1981) “Internal Migration and Rural Development in Nigeria”, Ibadan: Heinemann, p. 6. Mandi Adamu (1978) “The Hausa Factor in West African History”, Zari/Ibadan: OUP. O ‘Connel, J. (1967) “The Inevitability of Instability.” Journal of Modern African Studes, Vol 5 No.2, P. 1. Stanfield J.H. (1996) “Multi-ethnic Societies and Regions”, The American Behaviour Scientist, 40(1): 15. Tijani, A. (1999) “Ethnic Conflicts in Nigeria: A Case Study of Sagamu/Kano Riots”, in R.O. Rom Kalilu (ed.) ELA Journal of African Studies, No. 5- 6, May & Oct.
Tijani, A. (2002) “A Historical Study of Nupe Migrants in Yorubaland”, (Pp. 27-37), in Dele Afolabi (ed. ), Reading in the Humanities. Ilesha: Jola Publishers. Adamolekun, L. (1991) “Federalism in Nigeria: Toward federal democracy”. Publius: The Journal of Federalism. Vol. 21. No. 4. Ademoyega, A. (1981) Why We Struck: The Story of the First Nigerian Coup, Lagos: Sunshine Books. Alubo, O. (2006) Nigeria: Ethnic Conflicts and Citizenship Crises in the Central Region. Ibadan: PEFS. Balogun, S.A. (1980) “History of Islam up to 1800” in Ikime, O. (ed.) Groundwork of Nigerian History, Ibadan: Heinemann. Brubaker, R., M. Loveman and P. Stamatov (2004) “Ethnicity as cognition”. Theory and Society, Vol. 33, Pp 31-64. Burton, J. (1997) Violence Experienced: The Source of Conflict Violence and Crime and Their Prevention. New York: Manchester University Press. Edewor, P. A. (1993) “National Identity in the Nigerian Society” in Oyeneye, O. Y.; Oyesiku, O. O. & Edewor, P. A. (eds.) Nigerian Culture and Citizenship Education, Lagos: Maokus Publishers. Edewor, P. A. and Aluko Y. A. (2007) “Diversity Management, Challenges and Opportunities in Multicultural Organizations”, International Journal of Diversity in Organisations, Communities and Nations, Vol. 6, No. 6. Ekeh, P. P. and E. E. Osaghae (1989) Federal Character and Federalism in Nigeria. Ibadan: Heinemann Educational Books. Elbadawi, I. and N. Sambanis (2002) “How much civil war will we see? Explaining the prevalence of civil war”, Journal of Conflict Resolution. 46 No 3, Pp 307-34. Hooghe, M. (2006) ‘The challenge of diversity: Different answers and solutions’, in L. d’Haenens, M. Hooghe, D. Vanheule, and H. Gezduci (eds.) New Citizens, New Policies? Developments in Diversity Policy in Canada and Flanders. Gheut: Academia Press. Pp. 3-10. Horowitz, D. L. (1985) Ethnic Groups in Conflict, Berkeley CA: University of California Press. Ikime, O. (1985) “In Search of Nigerians: Changing Inter-Group Relations”, Presidential Address at the Congress of the Historical Society of Nigeria (HSN) in Benin, 1985. Ibrahim, J. (2000) ‘The transformation of ethno-regional identities in Nigeria’, in A. Jega (ed.) Identity Transformation and Identity Politics under Structural Adjustment in Nigeria. Uppsala & Kano: Nordic African Institute and Centre for Research and Documentation, pp. 41-61. Ikpe, U. B. (1991) ‘Public culture and national integration in multicultural states: Comparative observations from the United States and Nigeria’. Irobi, E. G. (2005) ‘Ethnic conflict management in Africa: A comparative case study of Nigeria and South Africa’. Jega, A. M. (2002) “Education, democracy and national integration in Nigeria in the 21st century” The African Symposium: An Online Educational Research Journal, Vol. 2 No 4. December. Kaufman, S. J. (2006) ‘Escaping the symbolic politics trap: Reconciliation initiatives and conflict resolution in ethnic wars’ Journal of Peace Research, Vol. 43 (2), pp. 201-218. Kotze, D. (2002) ‘Issues in conflict resolution’ African Journal for Conflict Resolution. Vol. 2 No.2 Pp. 77-100. Mustapha, A. R. (1986) ‘The national question and radical politics in Nigeria’ Review of African Political Economy, No. 37, Pp 81-97. Nnoli, O. (1995) Ethnicity and Development in Nigeria, Aldershot, England: Avesbury for UNRISD. Omoruyi, O. (2008) Disillusioned Democrat: Reflections on My Public Life in Nigeria (1959-1999), Ibadan: Heinemann. Osaghae, E. (1991) ‘Ethnic minorities and federalism in Nigeria’, African Affairs, Vol. 90, Pp 237-258. Osaghae, E. (1995) Structural adjustment and ethnicity in Nigeria, Uppsala: Nordic African Institute. Osaghae, E. (1998) ‘Managing multiple minority problems in a divided society: The Nigerian experience’, Journal of Modern African Studies, Vol. 3, Pp 1-24. Suberu, R. (2001) Federalism and Ethnic Conflict in Nigeria. Washington D.C.: United States Institute of Peace Press. Taiwo, V. (2000) Nigeria on Gunpowder: The Climax of Misrule, Ibadan: Omo-Ade Press. Tamuno, T. N. (1998) ‘Nigerian federalism in historical perspective’, in K. Amuwo, R. Suberu, A. Agbaje and G. Herault (eds.) Federalism and Political Restructuring in Nigeria. Ibadan: Spectrum. www.tondafoundation.org, Ademola Ajayi, Assessed on March 29, 2016. Durodola Tosin is a writer and diplomat. He started writing professionally at the age of 12. He was a Columnist in Ekiti Glory Newspaper, Nigeria from 2009-2010. He was the Ekiti 2009 Winner of the PETs Competition “Poem Section”. His passion for writing was ignited by his Parents profession in Journalism. He has written on several topics like “The Second World War and the economic situation in Africa”, “Africa and the effect of World War II”, “Neo-Colonialism: A Major obstacle to the process of nation-building in Africa”, “Nigeria’s Leadership Roles in Africa” “How Apt is the Description of 1920s in America History as The Jazz Age”, “Debt Crisis: A Major Developmental Issue in the Third World Countries”. Durodola lives in Ekiti State, Nigeria. 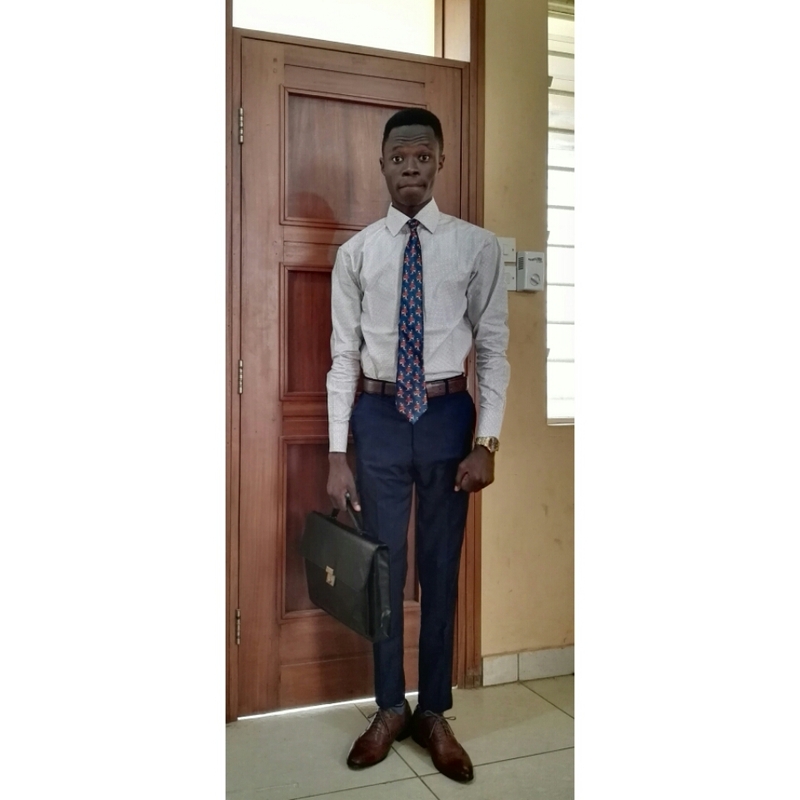 He is studying History and International Studies at Bowen University, Iwo, Osun State, Nigeria. He is currently conducting a research on “Nigeria’s Quest for a Permanent Seat at The UN Security Council”.